John J. Vento has been the President of the New York City based Certified Public Accounting firm John J. Vento, CPA, P.C., since 1987. His organization is focused on professional practices, high net worth individuals and those committed to becoming financially independent. He has been the keynote speaker at various seminars and conferences throughout the United States which focus on tax and financial strategies that create wealth. John has been ranked among the most successful advisors of a nationwide investment service firm and has held this distinction since 2008. Mr. Vento brings with him his vast experience from working with KPMG, one of the Big Four Certified Public Accounting firms where he specialized in audits of the medical and dental profession and the financial service industry. He has been an adjunct professor at St. Francis College in Brooklyn, NY as well as Wagner College in Staten Island, NY. John has also been an advocate for promoting financial literacy and has been a lecturer throughout the New York City Public Library system. 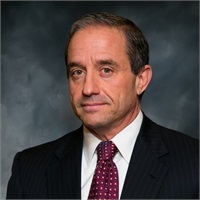 John J. Vento graduated from Pace University with a bachelor’s degree in business administration in public accounting, and continued on to earn an MBA in taxation from St. John’s University. He is a Certified Public Accountant (CPA) and a member of the American Institute of Certified Public Accountants and the New York State Society of Certified Public Accountants. Mr. Vento is also a Certified Financial PlannerTM (CFP®).